Huangdi Neijing is a classic medical text of ancient China. Composed of two sections, Suwen and Lingshu, the book contains eighty-one chapters filled with enduring wisdom and insight and is still consulted by doctors today. This translation is based largely on Li Zhongzi's concise edition of the book, published in 1642, titled Neijing Zhiyao, and continues the centuries-long effort to annotate the text, especially in light of modern developments in medicine. 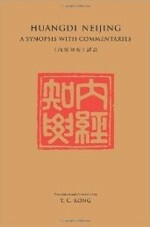 Instead of 'explaining a classic with a classic', this edition adds commentaries and emendations that enhance the theoretical core of Huangdi Neijing , illuminating a seminal work of Chinese medicine that covers so much more than the basic principles of yin-yang and the five elements.